So I’ve been making my own skin and hair care products for a while now and the one thing that has really eluded me has been hair gel. 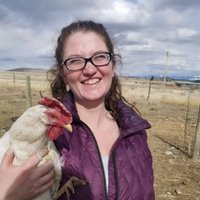 I have finally come up with a recipe that I absolutely love and that is really cheap and easy to make. 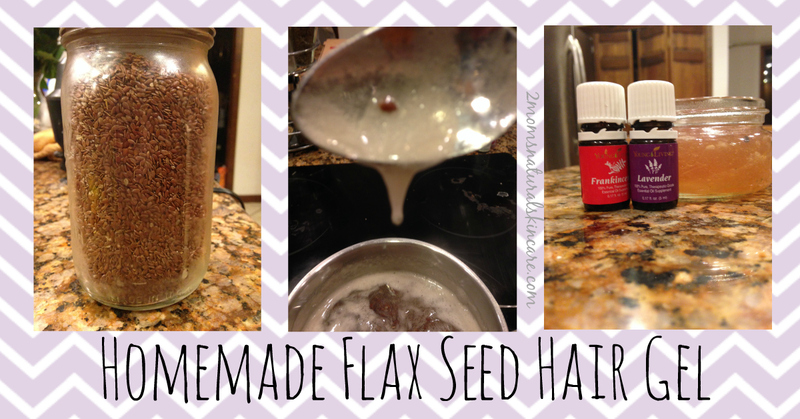 It can be made with just 2 ingredients flax seeds and water, but I like to add in a couple of other things as well. It leaves my hair with a soft feeling and not all crunchy like many gels do. The way I prepare my gel is for a medium hold but I will be sure and tell you how to get a stronger or lighter hold if you want. 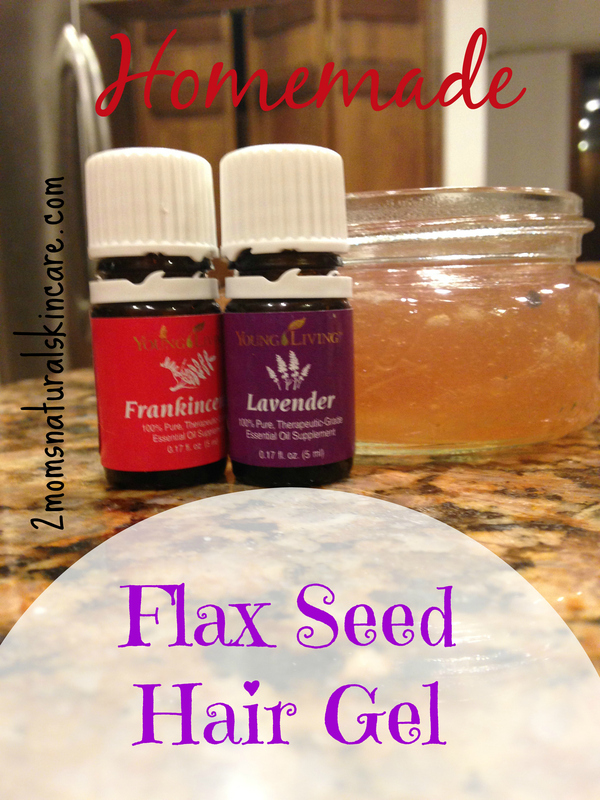 I love this hair gel recipe for a few reasons. One is that it nourishes and moisturizes your hair, which is especially great since the cold winter months are almost here. Two it is easily customized for hair type making the hold stronger or lighter and using different essential oils for your hair type. 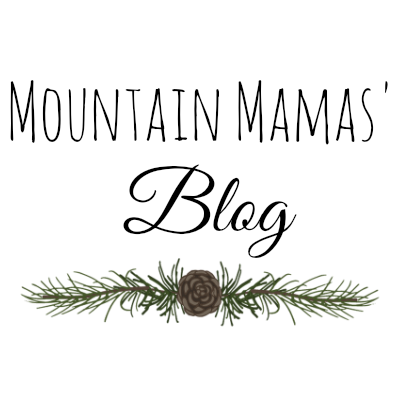 I get my shea butter and flax seeds from Mountain Rose Herbs because I love the quality of their products and their customer service. 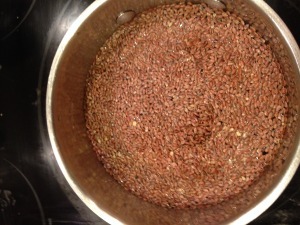 Add the flax seeds and water into a sauce pan. 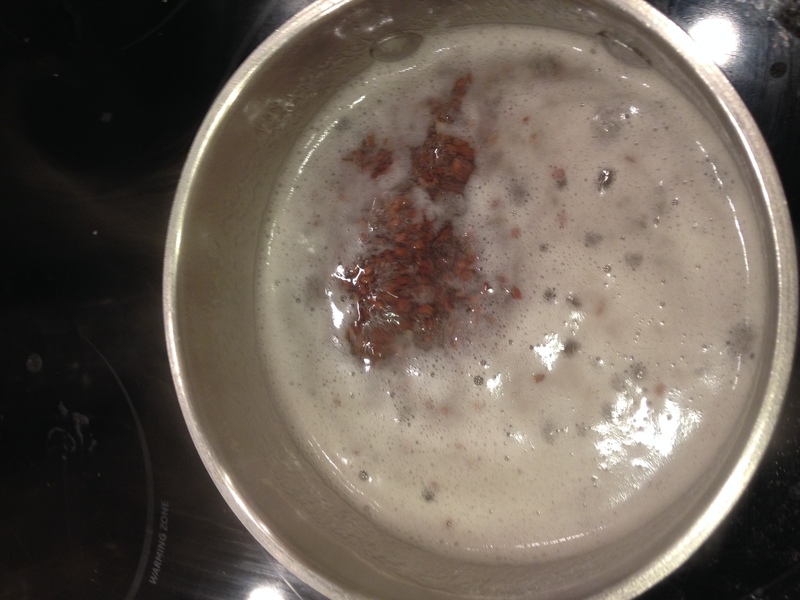 Boil for 9-11 minutes, stirring occasionally, or until the liquid has gelled and hangs from a spoon. Turn off heat. Add in the shea butter and stir until it is melted. 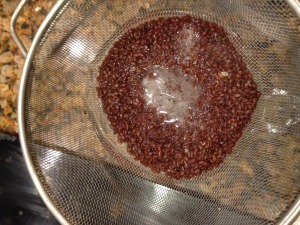 Use a mesh strainer over a measuring cup to separate the gel from the seeds. 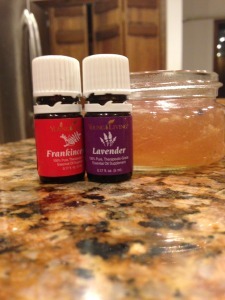 Add in your essential oils and stir. Pour into glass container and store in fridge for up to two weeks. This also freezes well if you do not use gel all the time. Detailed instructions with pictures below. Bring to a boil on medium and continue to boil for 7-9 minutes. 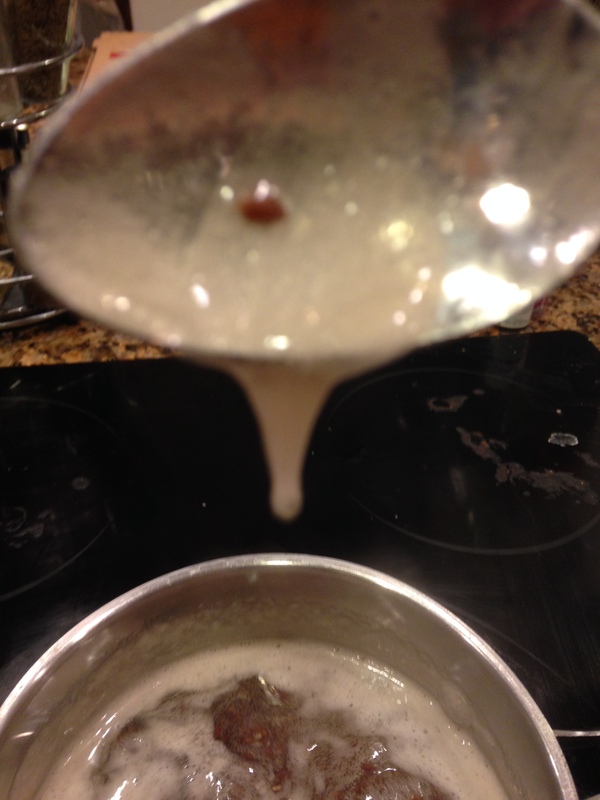 Once the the liquid has gelled and hangs from a spoon like so then turn off the heat and add in the shea butter and stir until dissolved. 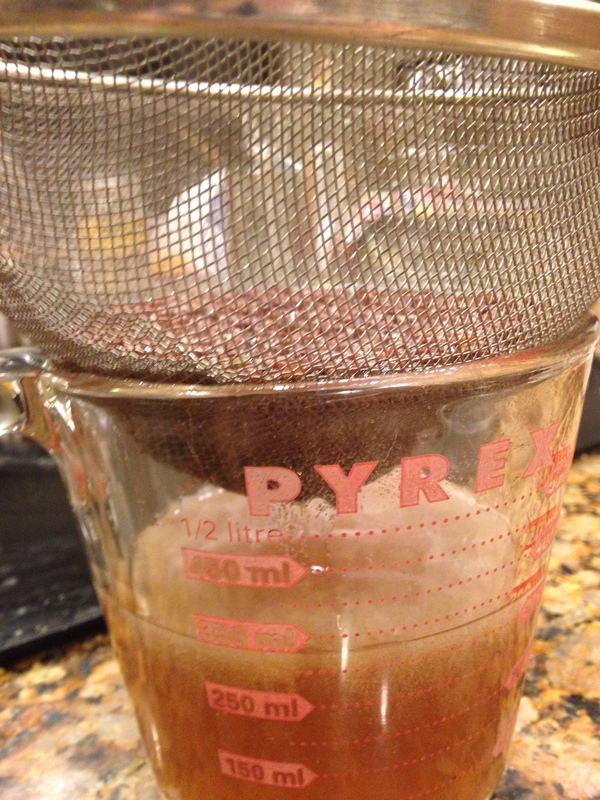 Strain through mesh strainer then add your essential oils. 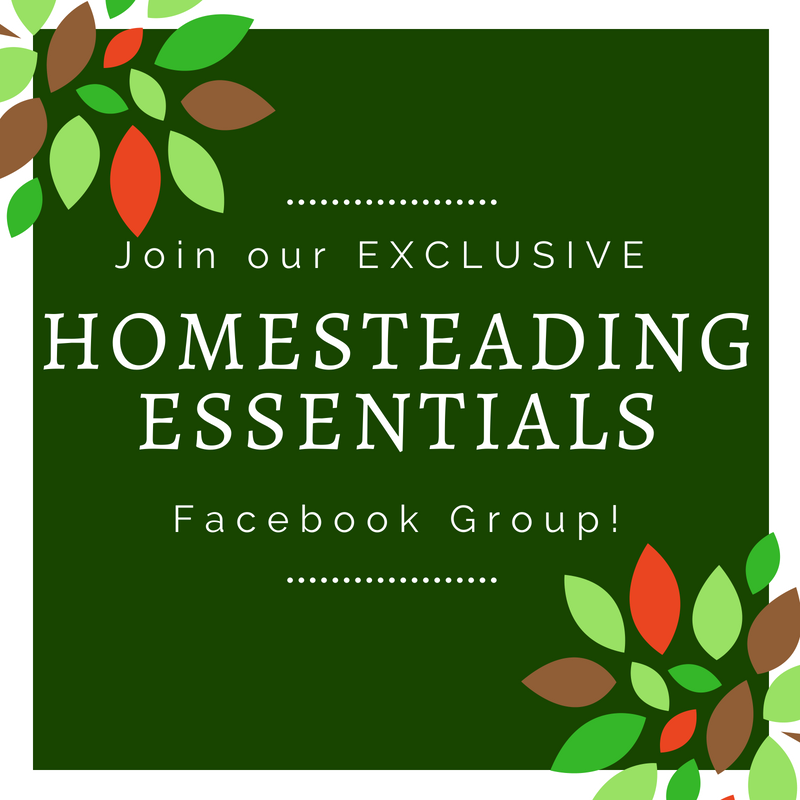 You can store this for up to two weeks in the fridge. I myself do not use hair gel frequently so I like to freeze it in an ice cube tray and just pop a cube out to defrost whenever I want to use some gel. If you are using the shea butter in your gel it will hardened up into white little balls when it cools down. Don’t worry though it melts with your body heat, just rub the gel between your hands and then apply it to your hair. So I told you at the beginning that I would share some ways to change the strength of hold for this gel and here they are. 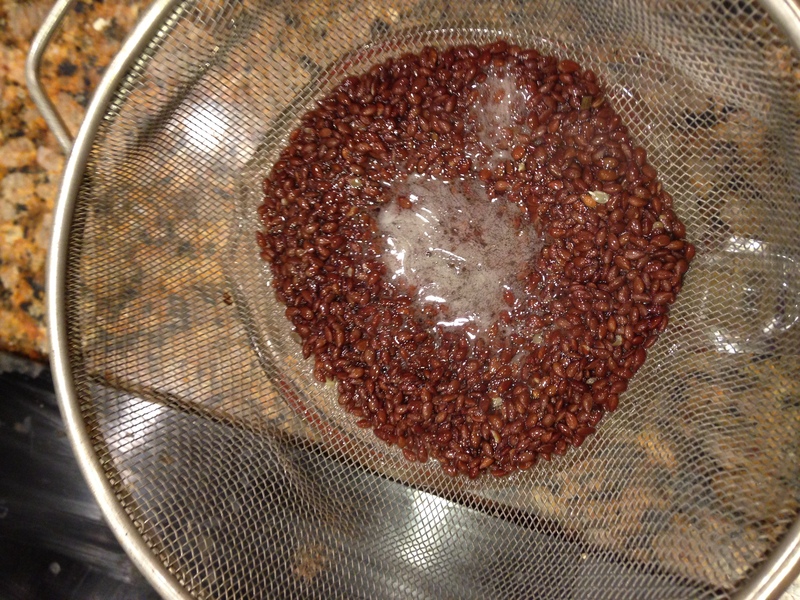 Boil the flax and water longer to thicken the gel or add 1/4 teaspoon of gelatin to the mix at the beginning. 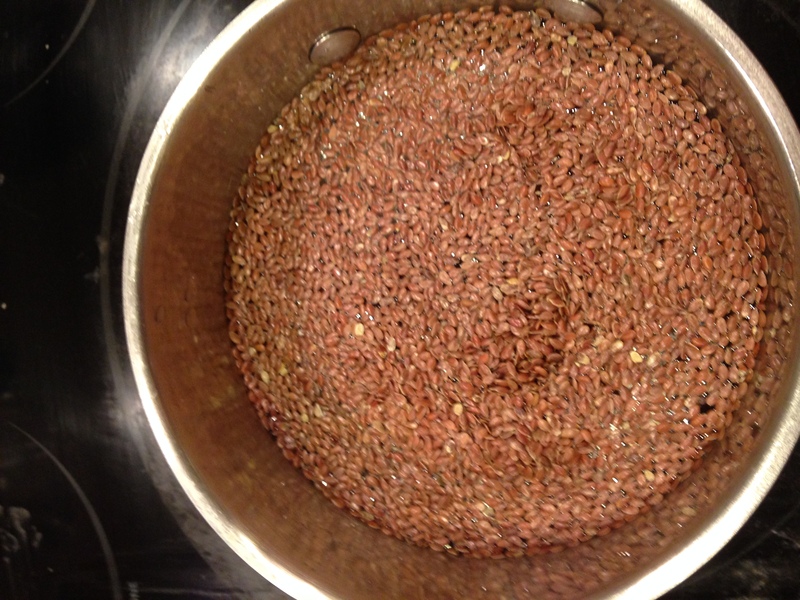 Use golden flax seeds or use 1/2 cup more water. Also applying the gel straight after washing your hair will dilute it some and weaken the hold. ← Super Yummy Flavored Marshmallow Recipe! This looks great. Do you think chia seeds would work too?